We are a small boutique hair salon in Southlake Texas, and we specialize in detailed haircutting. We love doing long haircutting, short haircutting, medium-length haircutting, men’s cuts, pixies, and children’s haircuts. We are a great place to come if you have overly thick or thin hair. If you are growing your hair out we can help you do that. We thoroughly analyze the hair and make recommendations to make your hair healthier, thicker/thinner, smoother, or whatever your specific case may need. We excel at correctional cutting – fixing a haircut that has been botched or may not have been cut well – with emphasis on attention to detail. 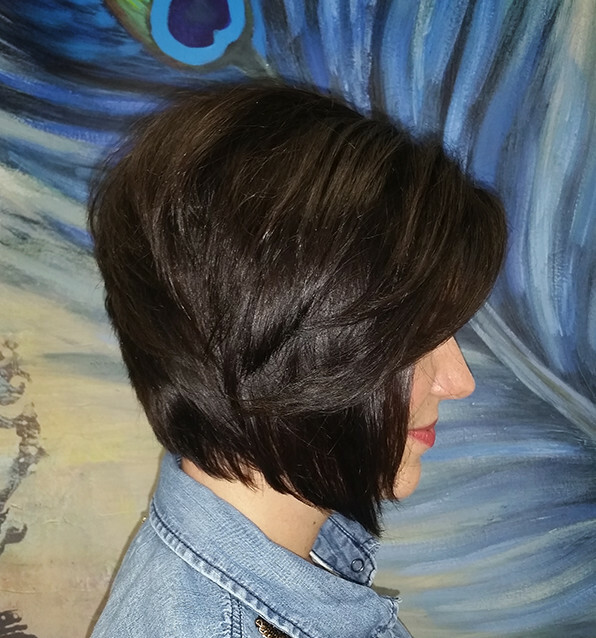 Many stylists forget the key step to finishing out a cut, which is dry blending. It is important to have your hair cut AFTER being styled out, and if this isn’t happening you’re missing a key part of a fantastic cut. By sculpting the hair while dry it adds movement and precision. You wear your hair dry so it should be finished in that state. There are parts of the hair that are thicker and parts that are thinner, and cutting wet means cutting blindly. The importance of seeing the thicker and thinner areas help to achieve a perfectly styled cut, ease of home maintenance, and overall look and grow-out. This is a very detail oriented Southlake Salon service. Many factors go into which hair colors will pull more strongly in your overall finished color. Factors like medicines, childhood hair color, hair history, environment, hormones, texture, water, minerals, and much more all play into how your hair color will turn out. Many negative tones can be offset and corrected by knowing more details about your hair. Sometimes it takes multiple sessions to get your hair to the desired look safely, and this is totally normal. Going lighter is always a correctional color and the hair must be stripped which usually causes some damage. The quality of our color, combined with new hair technology, allows for some damage to be prevented. Eufora color is based on organic aloe stem cells which heal and smooth the hair adding amazing shine and hair health. Eufora color is a no and low ammonia color which keeps the hair healthier during the process and extends color life. Eufora products are 75-85% organic aloe stem cell-based and heal the hair from the inside out. Eufora products take the lead in natural hair health technology, with a team of scientists behind it who are constantly innovating. You won’t find any fillers, alcohol, water, or terrible chemicals, and Eufora products are undiluted. These are pure luxury and as effective and natural as you can get without it going bad in the bottle. Eufora products strengthen and heal hair over time from the inside out. 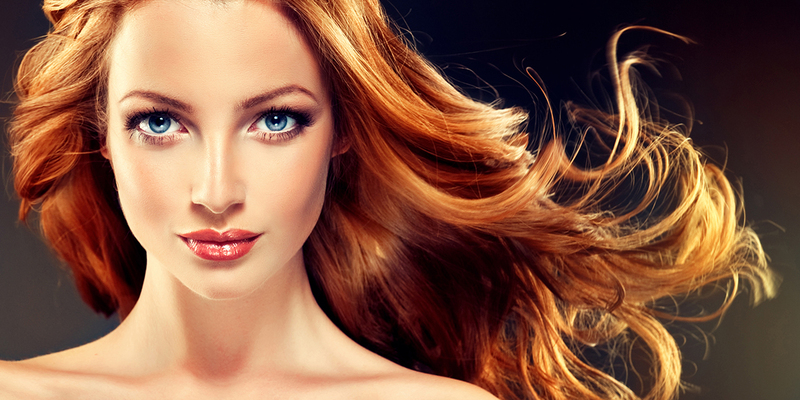 Eufora shampoos and conditioners maintain your hair color investment and hair health amazingly well. The Eufora Hero men’s products fight against hair loss, dry scalp, and dandruff. We are proud to be a top Eufora salon in Southlake. It’s always a great idea to bring a picture of your desired hair goal that way you and your stylist can work towards your ultimate goal. 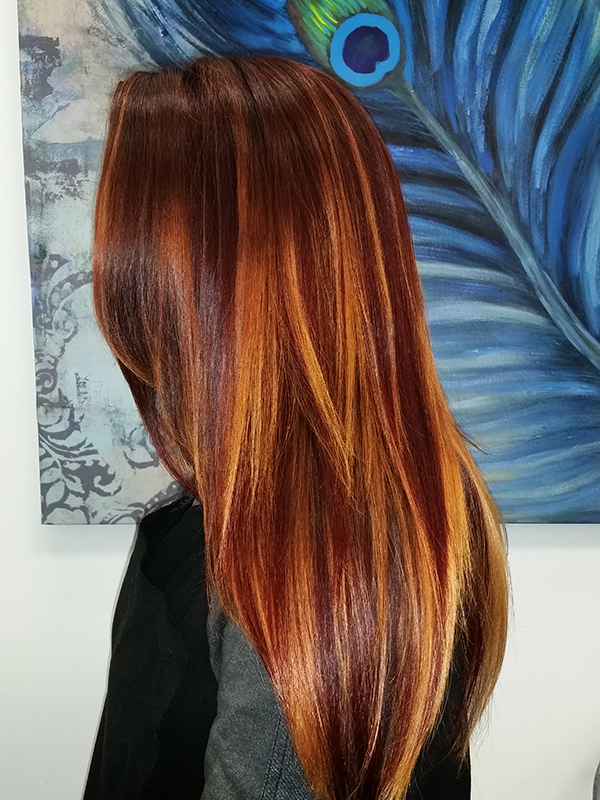 Be patient with a new stylist coloring your hair because each color will pull differently on each person due to the factors discussed above, and it takes a few sessions to really get to know the way each individuals hair will react. Make sure to choose a salon that guarantees their work to satisfaction. We always want you to love your hair, so if there is anything about your hair that you don’t love we will recolor it in a second session to make sure you love it. I have a creative passion for hair! I excel as a hairstylist because of my attention to detail and because my #1 goal is to get the perfect cut, color, or up style that my client is looking for. One of my talents is creating natural looking color and finishing the look with blended haircuts that have style and movement. I am an artist at heart with a solid art training background which gives me a special eye for hair sculpture and hair painting. A few of my favorite things to do include fancy up-styles, hair cutting (hair sculpture), correctional color, and hair/make-up for photo shoots. I love transforming dead damaged hair into healthy hair with body using the most healing products on the market. After accessing my clients’ hair goals, my haircutting approach utilizes a 3-step system to ensure you get the perfect cut. The first step is to wet cut, this creates precision and a customized look to work with your facial shape. In the 2nd step the hair is styled straight to see the characteristics and shape of the cut. The 3rd step focuses on correctional cutting which includes detailing, personalizing, and texturizing bulky or trouble areas to add personality. This system ensures the wear ability of your cut. I am continually expanding my knowledge on current techniques, and I pride myself on my professional commitment for extra training and continuing education classes. When you’re in my chair your in a safe place where we have way too much fun! I can’t wait to help you meet all your hair goals and needs.